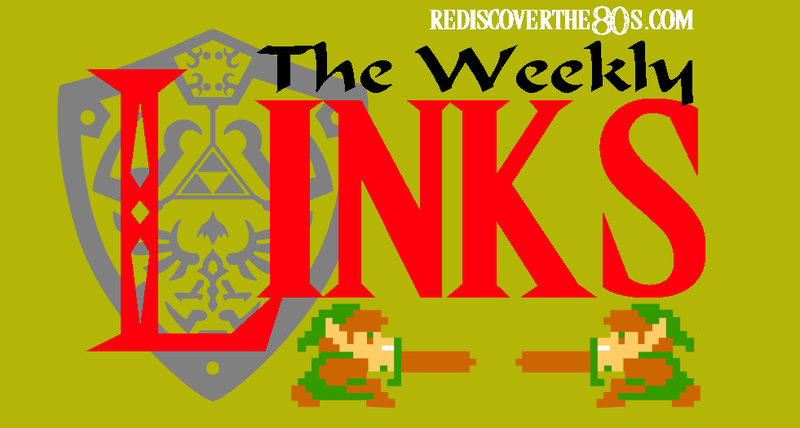 The Weekly Links are back with more retro treasure than Richie Rich can hold in his vault! Remember that cartoon on Saturday mornings in the '80s? Richie had that butler named Cadbury and his dog Dollar who'd help him in his adventures. Never understood if you were the richest kid on earth, why would you name your dog "Dollar?" Why not add a little value to his name like "Benji," "Goldy," or "Diamond?" Anyway, you might have noticed it's been a little quiet on the blog this past week. No I didn't take a trip to Fantasia on my birthday (although a ride on a luck dragon is on my bucket list.) My wife just had a baby girl! She'll have two older brothers to protect her and teach her all about He-Man and talking Trans Ams. But what they don't realize is my wife's battle plan to resurrect She-Ra, Jem, Care Bears, and My Little Pony in this house of testosterone. It may sound crazy but I actually looking forward to it. I remember watching some She-Ra episodes but I of course never really got into the stereotypical "girl cartoons" in the '80s. I'm hoping it will be something we can discover together! So as I adjust to having five people in our house, you might see some cobwebs on the RD80s home page through the end of the year. Don't forget though that I'm still sharing rad links everyday on Facebook, Twitter, and Google Plus so meet me there if you need some new '80s content. 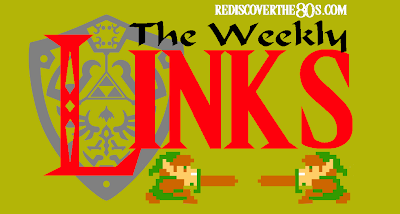 Now, on with the links! - You might remember Ohio State's tribute to Michael Jackson early this season. Well, this past weekend the Clemson marching band put on an awesome Super Mario and Zelda tribute at halftime of the Georgia Tech game. - So apparently this lady is suing the 80s hearthrob for falling on her during a concert...how many girls do you know would have paid for that to happen in the '80s??!! - Here's another cool Christmas gift idea for you iPhone junkies...turn your iPhone into a cassette! 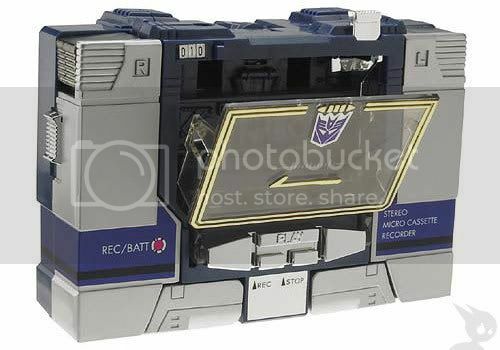 I'll wait for the Soundwave model. - My virtual 80s buddy Shawn has an awesome eye for documenting toys and objects from movie bedrooms. His latest venture is tackling stills from Flight of the Navigator. Go check it out and his other posts in the series! - For you people with a Halloween hangover, here's a little something that might get you through 'til next year. It's reported that the CW network is bringing back the '80s series "Tales From The Darkside." - Old School Tim managed to get the inside scoop with the author of the new "behind the scenes" Christmas Story book. Check out the interview and then snag the book on your Kindle for a great holiday read. - This might give me a reason to finally check out this show...in 2014. - Now, don't all of you rush to read this at one time. There is plenty of Cabbage Patch internet to go around. - Can't get enough '80s mall photography? Yeah, me too. Check out these shots that came from the Malls Across America book. - Sadly, I posted a pathetic 32/100. Teen movies really weren't (or aren't my thing) beyond the Brat Pack films and other popular ones. I did like this list tool though and might end up using it for my own lists! The 16 Most Delightfully 80s Things in ‘Ghostbusters’ - UnderScoopFire! Visual Proof that 80s Toy Commercials are 1000% Better in German - UnderScoopFire! - I'm tooting my own "easily amused horn" with today's final link. I stumbled onto an old Masters of the Universe TV commercial in German recently and thought I'd share the experience over at UnderScoopFire. Congratulations on the baby girl!!! Very happy for you. All the best.